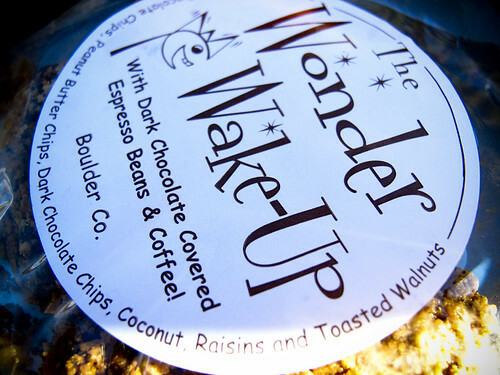 Wonder Wake-up, originally uploaded by iamkr. It’s raining outside, in the dark of night. Every so often I can hear the splash of cars splitting the waters in the trenched out blacktop street. I haven’t heard rain in quite some time. And actually listened. A few days ago, sitting down to a cup of coffee by a small river near Durango, there was a fog lifting off the water in the coolness. I looked up river to see a falcon flying no more than fifteen feet above the water with a freshly caught trout jumping in it’s taloned grip. This bird and fish coasted down the river a few hundred yards then swung around as if it forgot something, only to fly back up the river again. I was caught between awe and uncomfortable. Awe is the appropriate response to such a happening. No amount of talking about it, photographing it will ever capture the moment for it was just that… a moment. The discomfort, though, came from that grown-up part of me that felt the little kid in me jump up and say out loud “Whoa!” The discomfort was realizing that in such an awesome moment, I was out of practice in being childlike. Just over the pass from where we were, years earlier I had my first encounter with a moose cow and her calf. I was still a bit of a calf myself at age 12. Walking back from fishing a bend in the river I nearly bumped into these two beast. Quicker than a squirrel I was up the nearest tree, rod in hand, as this behemoth of a mother came charging at me, grunting and snorting. I was trapped for almost an hour in that tree, as we stared each other down. Well, she was glaring, and I was smiling and chuckling at not so much the absurdity – I was too young to know what absurd looked like – but the awesomeness of what was happening. Fear was simply part of the excitement and wonder that came with such a uniquely natural reality – not something to be recreated in any other context, especially digitally. Only a few days after that moose encounter, I was standing on a pull-out halfway down Wolf Creek Pass, looking across the Archuleta line as the San Juan flowed into the valley. During that one moment of wonder I muttered to myself or at least imagined that some day I would live in Colorado. Only a few years later I loaded up my Landcruiser and drove to a ranch outside of Creede that became the launching place for what has become nearly twenty years of one adventure after another. Somewhere in those years, in the growing older, if not up, I came to believe that a childlike wonder wasn’t fit for a man my age. I say “believe” because no matter what we claim to believe, and there are plenty of us that state a lot out loud about what we believe, it is what we live that most honestly reflects our beliefs. Then moments like that falcon on the river shatters grown illusions because that no amount of older propriety can hold back the truly childlike part that responds with giddy awe. Oddly enough the resistance isn’t grown-up, mature common sense. For as L’Engle said, “Only the most mature of us are able to be childlike. And to be childlike involves memory, we must never forget any part of ourselves.” So my discomfort in that moment says more about my immaturity than anything else. It would seem to be mature is to be free enough to not be so threatened by all the parts that make us human. To be mature is to be comfortable with wonder. And the great thing that comes with age is seeing the abstract multiple layers that make something, or some one wonder-full. My maturity just needed a wake up call that foggy morning. Coffee wasn’t cut out for the job. As the rain falls and the cars splash in the dark my sense of wonder still is awake, and listening.